Get your list of candidates here! 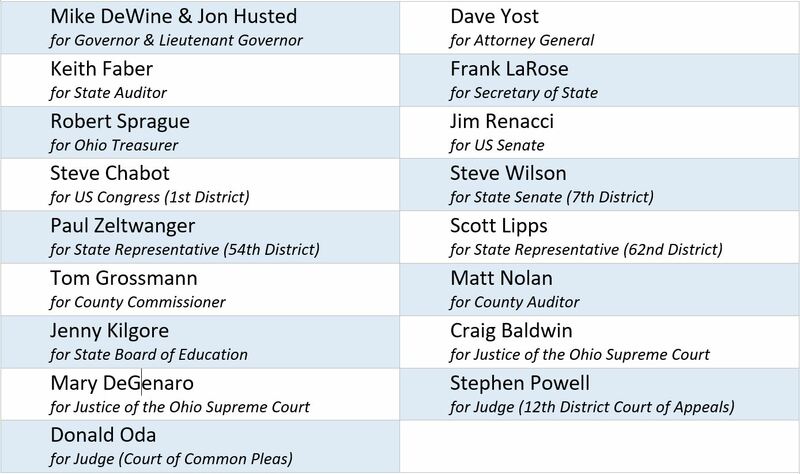 Be sure to support all these Republicans in November! Download a printable page of all Republicans on the ballot here!